Desk Report: Can you get curly locks using a hair straightener? It’s easy to do it yourself at home, suggests celebrity hairstylist Asgar Saboo. A simple and quick way to achieve big and bold curls is to use a hair straightener, as the resulting curls from the flat iron are lose and bouncier. – Brush your hair thoroughly to make sure your tresses are tangle free and smooth before you begin. 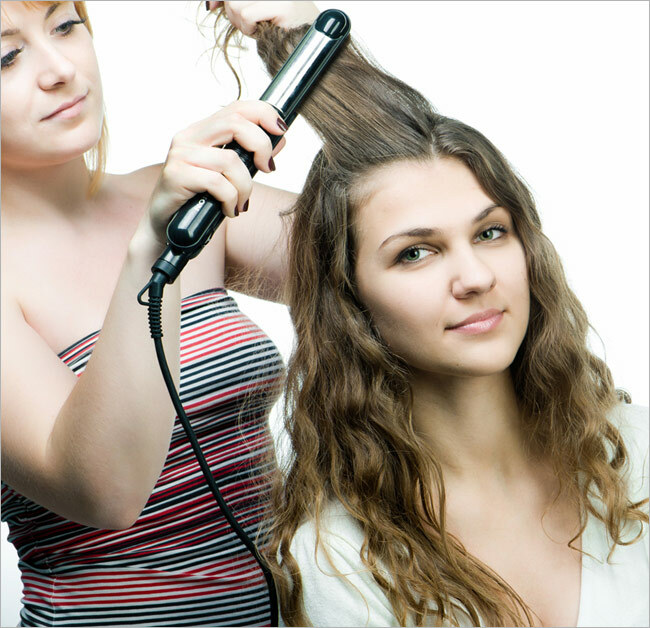 Make sure you hair is completely dry before using the straighteners. – Apply a heat protection spray and comb through. It’s important not to skip this step as this creates a barrier between the hair and the straightener. – Part your hair in three sections: upper, middle and lower, then apply hairspray to each section and clip them up. – Patiently work on the layers beginning at the bottom of your scalp. Grabbing section by section, clamp the iron and turn it back on itself a half turn gliding the straightener near the hair roots towards the ends and softly twisting it at the same time. – When all the sections have been curled, gently run your fingers through your hair to get a soft tousled look and apply a strong-hold hairspray to keep the curls in place. Is your black hair turning brown? Beware! Taimur Ali Khan is Certainly as Famous as his Parents; Kareena Kapoor Khan and Saif Ali Khan!